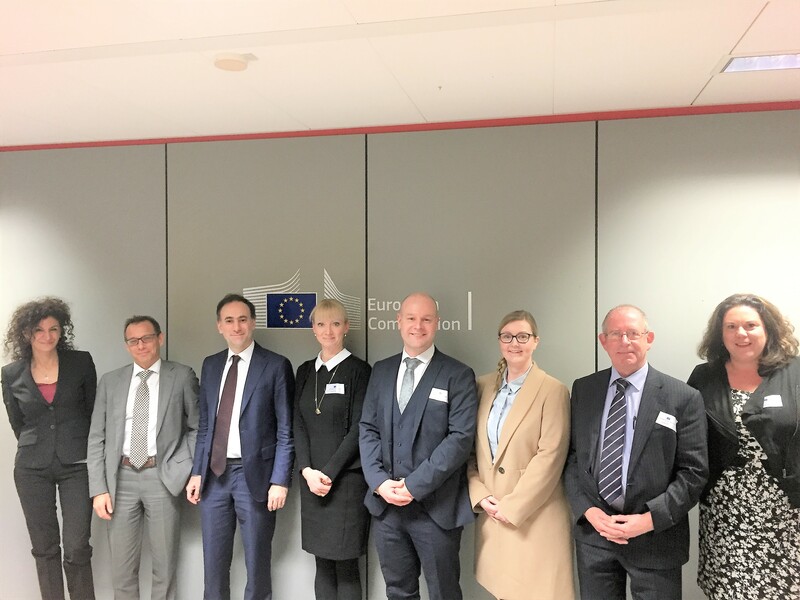 On 28 February 2017, a Channel Islands delegation held a meeting in Brussels at senior official level with the European Commission’s Directorate General for Justice and Consumers (DG JUST) to discuss data protection issues. The meeting was organized by the Channel Islands Brussels Office and the delegation comprised Mrs Emma Martins, the Channel Islands Data Protection and Information Commissioner, and senior officials from the Guernsey and Jersey governments. Guernsey and Jersey are among the small group of non-EU countries that are the subject of an “adequacy decision” by the Commission, which is an official certification that we meet essentially equivalent data protection standards to those applying in the EU. In May 2018 a new data protection regime will enter into force in the EU – the General Data Protection Regulation (GDPR) and a Directive which applies a similar regime to exchanges of personal data between law enforcement authorities. Guernsey and Jersey have committed to implementing into domestic law by May 2018 essentially equivalent provisions to the GDPR and the new Law Enforcement Directive. The meeting was an opportunity for Guernsey and Jersey to bring the Commission up to date with legislative, regulatory and policy developments since our original adequacy decisions were adopted and to explain the efforts being made in both Bailiwicks to implement the GDPR and the new Directive. The Commission has made clear that it remains committed to ensuring the continuity of the adequacy findings for Guernsey and Jersey and to further strengthen relations in the area of data privacy and data protection. This is an objective which Guernsey and Jersey fully share.